Posted: 0 Post subject: 2011 ARENA HOLIDAY CUSTOM SWAP!- Lunamoth, please check in! for the MLP Arena's Fourth Annual Holiday Custom Swap. In 2008 we held our very first Arena Holiday Custom Swap. The past three years have been a great success and we are really excited to bring it back again for the 2011 Holiday Season. This year the deadlines will be extended with the hope that everyone will have something for the new year! PM to apply: Start today and ends November 2nd. Receive Your Secret Swap Person Name: As Soon As Possible! Start Creating: As Soon As Possible! All packages must be shipped by Christmas and should arrive no later than January 10. You will not be held responsible for delays due to the fault of the post as long as you shipped on time. 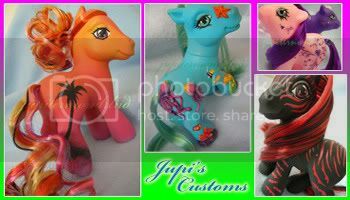 Classic Pony Swap - This category is for customizers who appreciate the traditional custom pony. Most customs in this grouping will be kept fairly simple with a few minor embellishments such as jewels, small accessories and simple wings. The end result is up to you. Ponies Plus Swap - Get creative, this category is where you can get a little crazy. Be prepared for sculpting, sewing or intricate paintwork. All swap participants will be required to include $5.00 (USD) worth of goodies or holiday treats. Don't forget to tell us which swap you're doing when sending your references. If you want to participate in the Basic Pony Swap then you need at least 8 references. 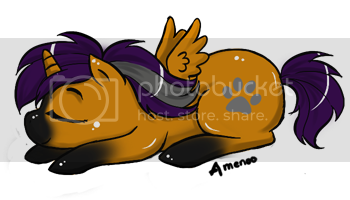 If you want to participate in the Ponies Plus Swap then you need at least 10 references and 3 must be from previous custom swaps or people who have commissioned you / bought a custom from you in the past. This year we ask that all participants submit a photo of the finished custom before shipping. Photos can be PMed to the CustomSwap account no later then December 1st. DO NOT SHIP EARLY WITHOUT PERMISSION FROM THE CustomSwap ACCOUNT. Airmail only for international, no exceptions. Postal receipts are required or negative feedback will be left. Delivery confirmations and/or insurance is highly suggested. Ponies should be well wrapped for shipping especially those with sculpted parts. Let us know if you are willing to ship Internationally or not. ***Please note that you will be held accountable if your custom is not well packaged and damaged during shipping. Members entering the Sculpted Pony category should take extra precautions to ensure that their custom arrives safely. In the event that a custom does arrive damaged through no fault of the sender the receiver will have the option to ship back at their own expense to have the custom repaired. PM HOLIDAYSWAP to let us know that you have shipped your person's ponies. This is a must. We have to know once you ship your package. Please also let us know that you have your shipping receipt and which shipping method you chose. All customs must be done using an adult Hasbro base. All customs must be done using quality materials and made to last. Customs should be rehaired with quality doll hair (Dollyhair, CustomPony, RestoreDoll) or actual MLP hair in like new condition. Please PM me, pop-girl for approval to use anything different - I will check to make sure it is OK with your partner. Do not use newspapers or colored tissue paper. Taking on more than you can handle. Please choose a swap category within your skill level. Letting it slip who your secret person is. Not asking for advice when needed. Not turning in Wishlist on time. Not packing your custom well for shipping. Wishlists need to include a list of your likes and dislikes. Let us know what you love about the holidays or the winter season. Be sure to mention favorite colors, favorite themes, favorite poses, etc. Let us know what is totally unacceptable to you in a custom.... Example: I don't like glitter or TAF symbols. Let us know if you only like customs that are G4, G3, G2, G1 or are you open to any generation. Also, let us know what generation of pony you prefer to work with as a customizer. Include a list of your favorite goodies and holiday treats. Apply to the CustomSwap account! Please title your PM "Holiday Custom Swap". Tell us you've read this entire post by including the word "heliotrope" in your PM. Posted: 0 Post subject: Re: OFFICIAL 2011 ARENA HOLIDAY CUSTOM SWAP! Exciting! I can't participate, but I can't wait to see all the gifts and customs! But I can't wait to see all the great holiday customs. yay, i want to join ^^ sending my PM. I'd love to join and I have the skill to join either category but I do not have enough feedback simply because I haven't gotten feedback left for me for everything I have done. Tiella, we PM each of your references - don't let your lack of feedback stop you. You PM your list to the CustomSwap account and then we contact each individual and ask for feedback. Ohhh! I should be able to qualify then!